I am thankful my readers have still been checking into my hop, despite how inconsistent my blogging has been now that I have a brick and mortar business to grow! It's exciting to have a Fairy Corner in Ogre's Grove to display my handmade trove. The beautiful bracelet I'm wearing with my Thanksgiving manicure is designed by Sarah Artisan Jewelry, who has a mermaid shell necklace and earring set available to buy at 129 Union St. in Milton, Delaware. I'm also getting to share my love of nail art at the Grove! Last month, my friend Janet Stoy came to the shop to demonstrate how to apply Color Street nail polish strips for Halloween. And of course I had to gather up delightful designs for myself. I saved Autumn Harvest to wear until today. I hope your Thanksgiving is stuffed with what you love about life, too! 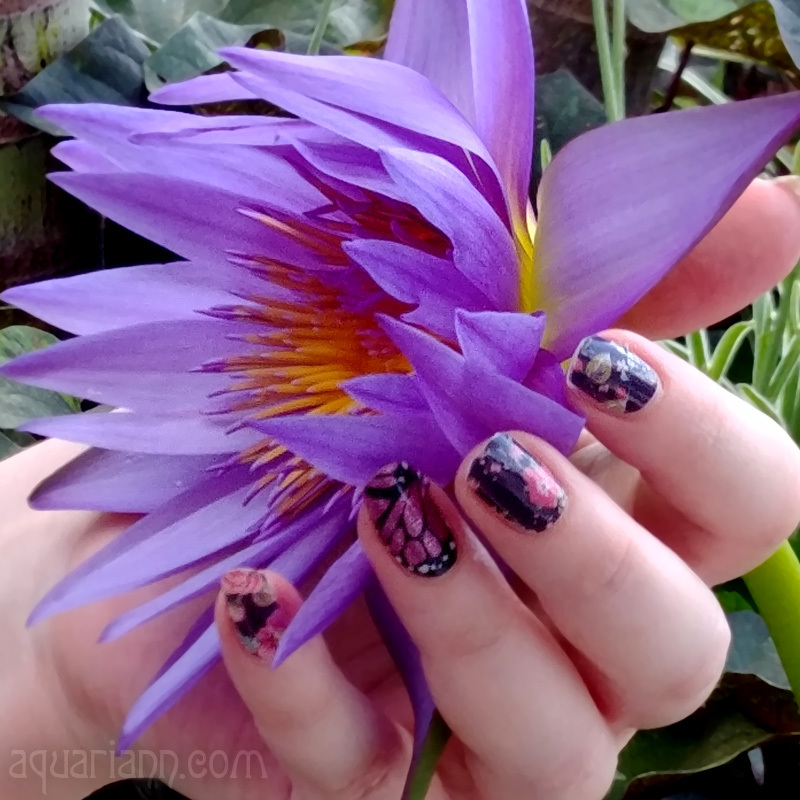 What an amazing nails, I love your Jamberry nails!! Wishing you an awesome week!! 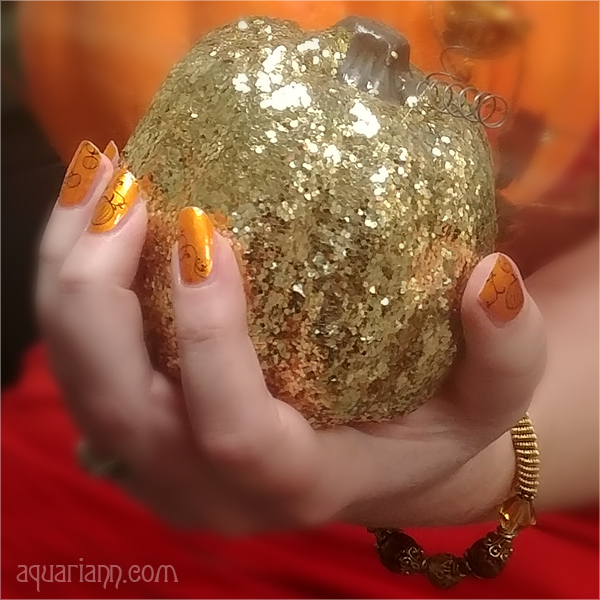 Nice nail art - I like how the orange tones contrast with the gold. so lovely! Great art and popping color!